A cotton thread that is pulled along unwanted hair in a twisting motion, to trap hair in a mini lasso, and lifts hair right out of the follicle. Threading hair is an ancient method commonly practiced in Eastern people; like Egypt, Persian, and Indian, but is becoming very popular here in the West. 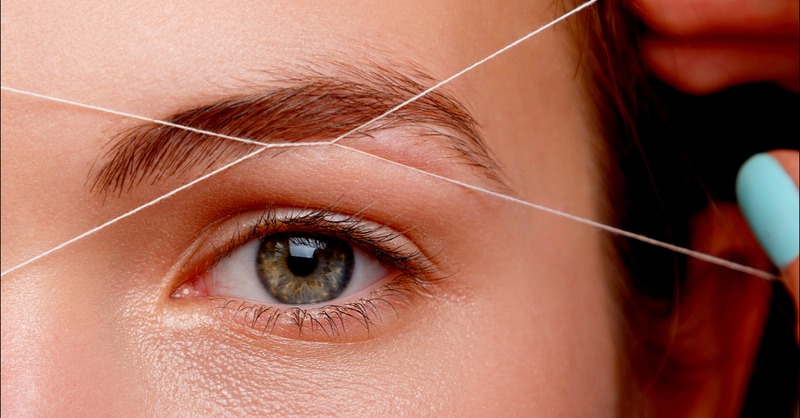 Threading removes the entire hair follicle and lasts up to four weeks. Book your threading appointment with Farideh today.